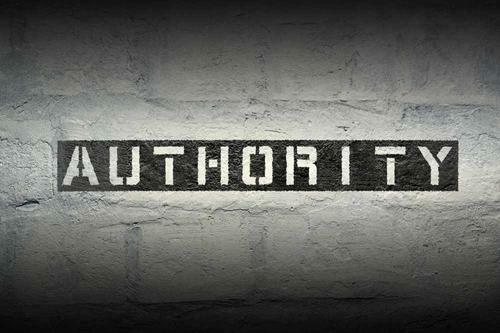 In the past we have spoken about the importance of having authority in our lives. I would like to do a quick review and then answer some frequently ask questions concerning authority in our lives. In Scriptures, God outlines authority structures that provide direction for the family, church, workplace, and government. “Let every soul be subject to higher powers: for there is no power but from God: and those that are, are ordained of God.” (Romans 13:1). By virtue of Who He is as creator of all things, God is the sovereign ruler of the universe. He has all power and all authority, and He entrusts roles of leadership to individuals in the family, the church, the workplace, and the government. Each member of the Trinity works within the structure of authority and fulfills a specific role, perfectly complementing the others and demonstrating God’s glory. The members are not independent of one another, but God the Father is recognized as the authority Who directs and empowers the Son and Holy Spirit to carry out His will. God ordained human authority in four areas and established a specific chain of command in each area. This structure does not express superiority or inferiority. Just as each member of the Trinity is essential to express the fullness of God, so within social structures each role in the chain of authority is necessary for the success of the relationship. How old do I have to be before I am out from under authority? When does the parental "chain of responsibility" end? The parental "chain of responsibility" ends when they delegate that authority to someone else- as in marriage or when some one enters the religious life. However, even before this, a certain measure of independence should be earned by learning to discern and obey the wishes of parents. When they are confident that we will do what they would do in a given situation, they will give more freedom to make decisions. What if I am an adult and still single? By this time, we should have earned the position of being in a "chain of counsel" If we haven't, there must be some serious deficiencies in our attitudes or understanding. Under whose authority am I if my parents are divorced? The Parent who is legally responsible for you becomes your direct chain of responsibility. The separated parent may be a part of your chain of counsel. If the parent with whom you are living remarries, he or she automatically delegates part of his or her authority to your step parent. What if parents don't care what I do? There are reasons why a parent has ceased caring what his teen-ager does. The main reason is usually that in the past the teen-ager has had a strong will and has done what he wanted to anyway. The parents then just stop competing with him. When a teen-ager dedicates his life to the Lord and clears his conscience with his parents and places himself under their authority, he or she will usually see a gradual or a dramatic change in their concern for what he or she does. What if I'm single and living in an apartment? First, be very sure that God has led you to move away from your parents, and that they were fully in harmony with the move. When God designed the family structure, He purposed that each one in the family meet basic needs for the others-especially social needs. When a single person leaves his family apart from God's direction, he exposes himself to many unnecessary temptations to wrongly fulfill these social needs. If your parents are in full harmony with your move to another location, it is important to maintain good lines of communication with them in order to receive counsel from them. What if I am a widow or divorced? Your direct line of authority would be to God. However, it would be very essential to build around your life as many godly counselors as you can, especially parents and parents-in-law. God takes special care of the widow. He is their protector: "Who is the father of orphans, and the judge of widows. God in his holy place" (Psalms 67:6 DRB/ 68:5) The book of Ruth in the Old Testament gives significant guidance to the young widow. If you are divorced and your former husband is not remarried, take whatever steps you can to be reunited. By so doing, you will be able to get back under his "umbrella of protection," and allow God to work through the marriage to achieve Christ's character. If you have done what you can and still find your relationship broken, then your line of authority would be to God, and you will want to build the same godly counselors as the widow would. What if I married the wrong person? What if I don't respect the authority over me? It is important that we learn how to distinguish between an authority's position under God and his human personality. We are to reverence his position, although at the same time we may be very aware of personality deficiencies. To say that we reject an authority because we don't respect him would be as much in error as tearing up a speeding ticket because we didn't like the attitude of the police officer.